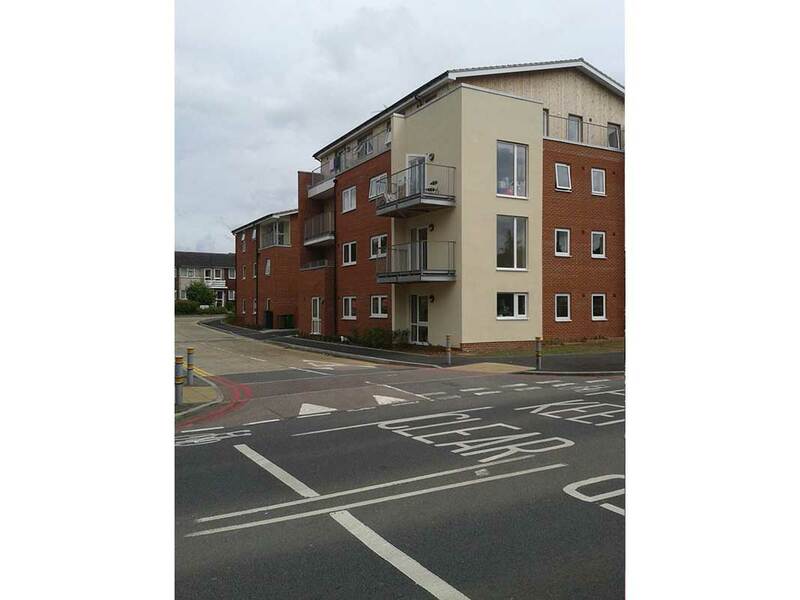 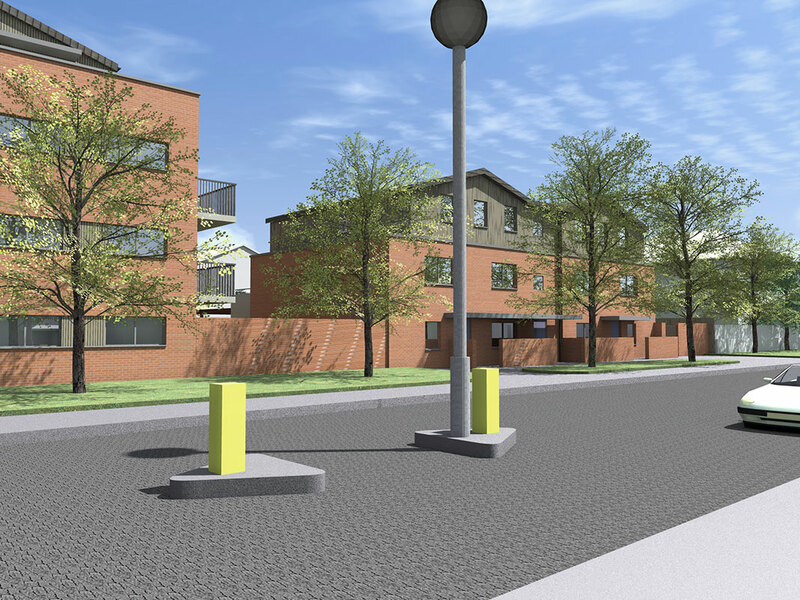 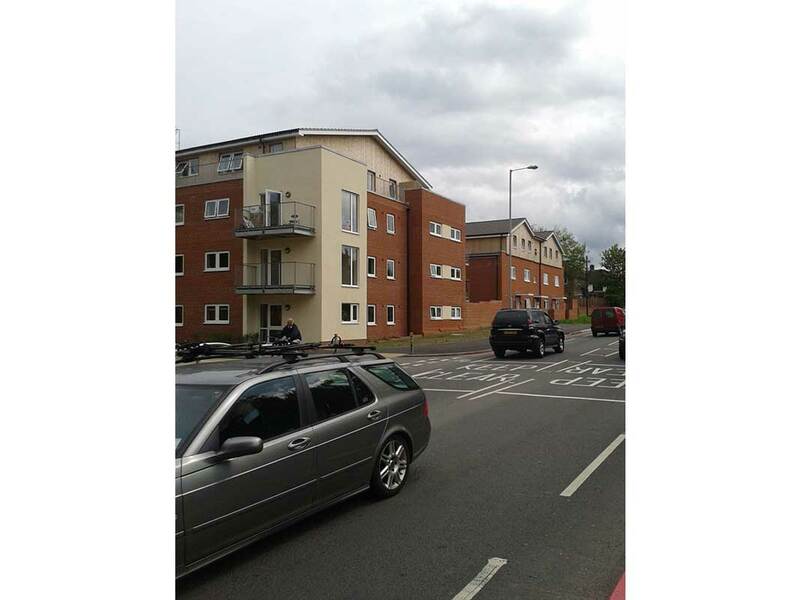 Divine Ideas prepared a scheme for 21 new build flats and houses for a 100% affordable housing scheme including designated wheelchair accessible dwellings. 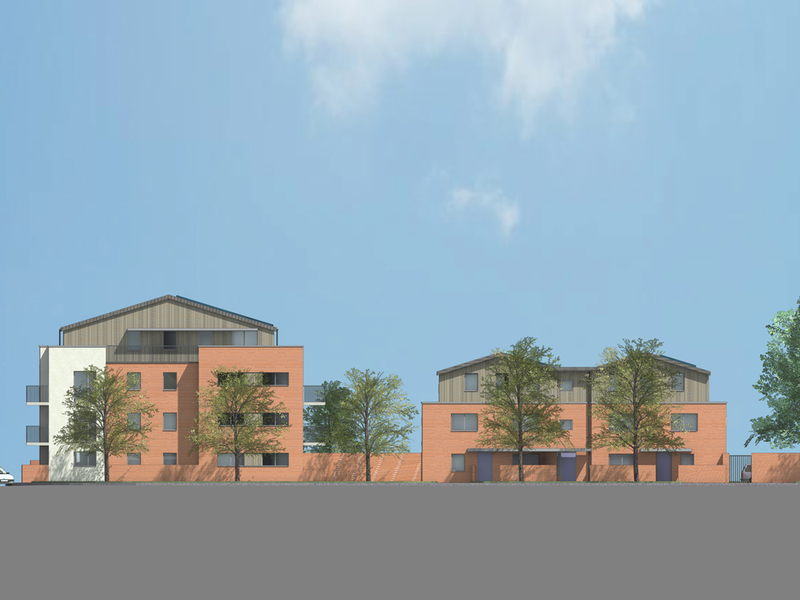 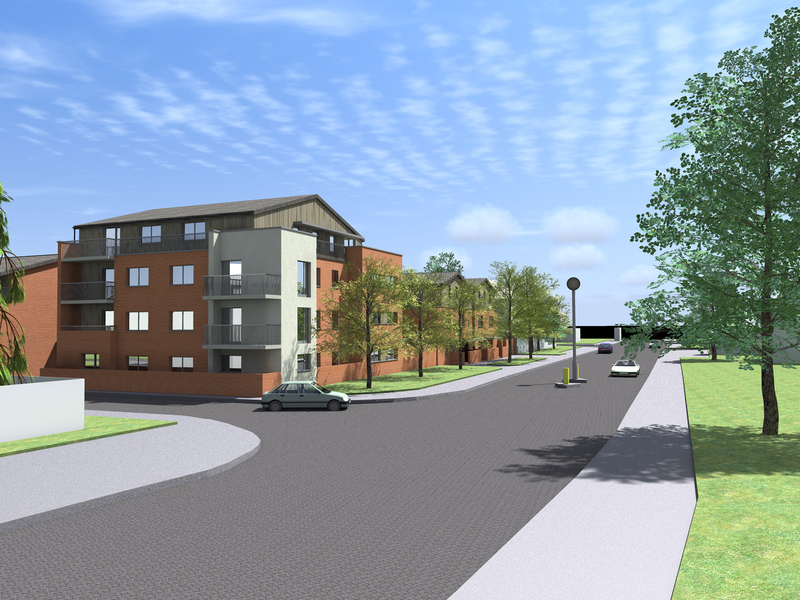 This scheme has been developed for Paragon Community Housing Group with close consultation with the Council. 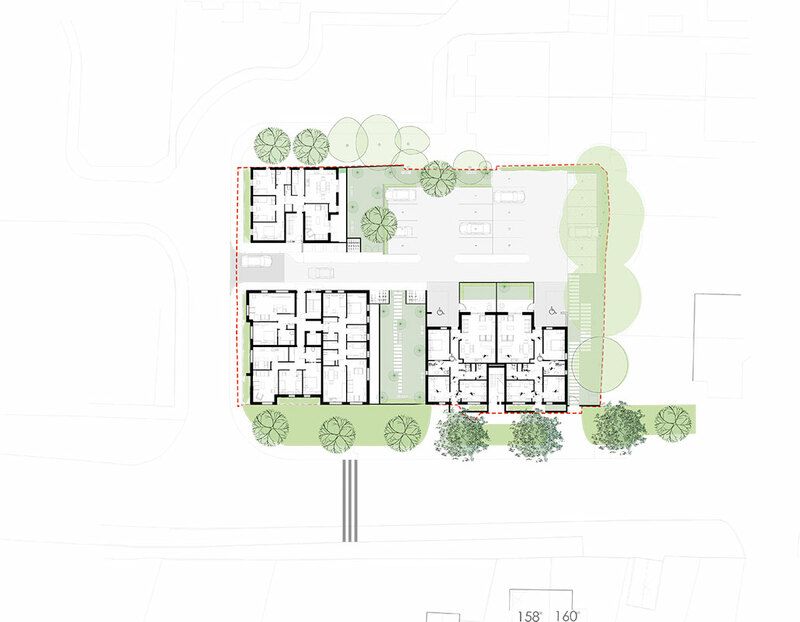 The proposal provides residential accommodation to HQI standards with communal landscaping and private amenity space. 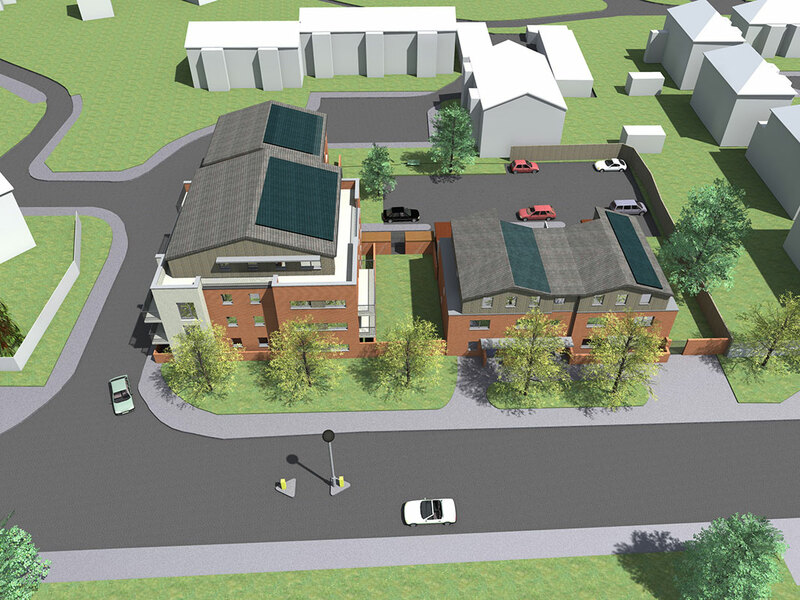 A reduction of over 20% of estimated CO2 emissions is achieved by utilising on site renewable energies and the scheme achieves a Code for Sustainable Homes level 3 rating.